If you’re looking for ways to downplay your lack of punctuality on Monday mornings, that excuse probably won’t get you very far. Career Builder surveyed managers and workers about reasons people show up late for work. Some of the answers are absolute doozies. How do bosses keep a straight face after hearing some of these? I mean, I totally get the person who was late because of grilled cheese. However, I don’t think “mandatory soccer viewing” is actually a reasonable excuse you’ll find in an employee handbook. Of course, not everyone is so cavalier about being late for work. For some of us, the idea of showing up late is literally a nightmare. The survey revealed a few realistic and relatable reasons for tardiness, like getting caught in traffic, bad weather or oversleeping. Employers are pretty understanding because they know it happens to everyone sooner or later. 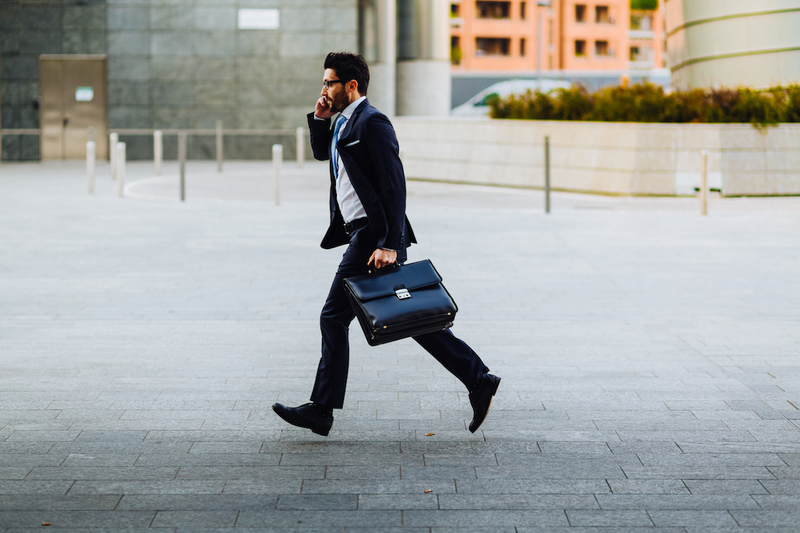 Of the companies surveyed, 29% say it’s okay for employees to be late once in a while, as long as it doesn’t become a habit. On the flipside, 69% of workers say they’re willing to stay past their regular working hours to make up for being late to work. Bravo for a good work ethic! Career Builder also found that 17% of respondents arrive late for work because they procrastinate. You may not feel like pulling yourself together and going to work in the morning but those bills aren’t going to pay themselves. Try one of these three ways to nip procrastination in the bud before it becomes a permanent habit that’s tough to shake. 1. Start small, then build. It’s more than just a smart approach to saving money, it’s also a great way to make incremental changes in your life that lead to long-term results. 2. If you put off leaving for work because you don’t like the commute, download podcasts you love and vow to only listen to them only after you’ve walked out your front door. 3. Embrace your inner procrastinator, but channel that inertia toward saving money. Take comfort in knowing that people who delay gratification are actually more content with their lives. Your turn: What’s the silliest reason you’ve ever been late for work? Lisa McGreevy is a staff writer at The Penny Hoarder. If she’s ever late for work it’s totally because she got sidetracked by grilled cheese.